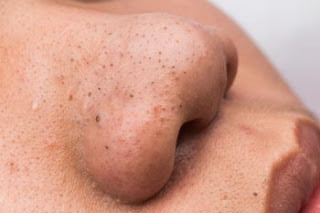 This is an active ingredient in the best blackhead dissolving creams. It has proven effective in getting rid of stubborn acne. By attacking the layers of the skin, through to the dermis, salicylic acid removes oil, dirt and sebum. Removal of these products unclogs pores and gets rid of any preexisting blackheads. The best gel for blackheads removal/dissolving products has this active and effective ingredient. Aloe vera is incorporated in many beauty products because of the extent of its effects on the skin. Aloe vera moisturizes the skin and has been shown to be an effective blackhead dissolving agent. Any pain and inflammation on the skin are relieved fast by aloe vera. Therefore, acne irritation is reduced eventually leading to fewer blackheads. Auxins and gibberellins in aloe vera provide anti-inflammatory effects. After removal of the blackheads, any resultant irritation will be relieved by aloe vera gel. Lactic acid is a great exfoliating agent. It removes dead cells as well as any damaged cell layers. It is not corrosive to the skin and by removing the old cells, newer cells are regenerated. Exfoliation enhances the skin’s natural growth. This reduces acne breakouts and blackspots. This natural salt is rich in magnesium ions. It is effective in removing the salts by dissolving the blackheads leaving behind a blackhead free face with no irritation because it has anti-inflammatory effects. Tea tree oil has been used for many years by many people to alleviate skin problems. It has antiseptic effects and therefore perfect for reducing or preventing any form of infections. It can be used as a face mask, moisturizer, cleanser and an effective facial scrub. By integrating tea tree oil in these beauty regimes, you will be able to get rid of the blackheads on your forehead, chin and nose permanently. This is a vitamin rich in retinol. Retinols are effective on the skin with anti-inflammatory effects. It also enhances cellular regeneration filling up the gap left after acne is removed. Faster cellular regeneration is enhanced by vitamin A and it is therefore incorporated in the best acne and blackhead dissolving creams and gels. It is common in acne and blackheads’ gel and cream components. It has antibiotic and anti-inflammatory effects thus preventing infections on blackheads and acne. In conclusion, blackheads cannot be removed or covered up using makeup. In most cases, they still get to be seen through the foundations and concealers. To be comfortable in your skin, a good blackhead dissolving cream of gel will help you. The best blackhead removal products have ingredients that actively remove the defects skin deep. Clara Peters is the leading dermatologist in the states. Her experience is remarkable and she is known for making a leading gel for blackheads. Read more on her work and blackhead dissolving products on her blog. How Frequently You Should Visit Your Dentist? Why Should You Go With A Marriage Photographer?